The secondt call for Proposals under the Atlantic Area Transnational Programme 2014-2020 is opened to co-finance rate of 75%. 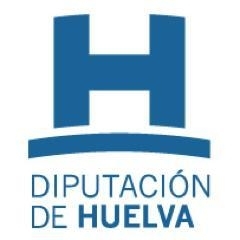 The County Council of Huelva will attend this call with a project related to the theme of the Great Voyages to the New World or other sites whose name is TERRA INCOGNITA. This proposal aims to Priority Axis 4 (Enhancing biodiversity and the natural and cultural assets in order to protect the environment and promote cultural identity to make the Atlantic Area a more attractive place for local communities and visitors) and its Objective "Enhancing assets and natural and cultural heritage". The main objective of the project is to attract more visitors through the development of tourism linked to heritage related to Great Maritime Explorations, discoveries or Navigators. We are looking for partners from France, Ireland and the United Kingdom who are eligible for the Atlantic Area Programme because all of us are linked by an important historical and cultural heritage related to the great voyages to the New World or, simply, a long tradition linked to great navigators.